Police officers in parts of the vast western Chinese region of Xinjiang have been ordering residents to hand over their passports since October, according to residents interviewed by telephone this week and online photographs of orders from local police departments. At least four official police notices from different areas of Xinjiang, all dated October, have been posted online. They either tell residents to turn in their passports or say that no new passports are available. On microblog platforms, residents from different towns and counties have written that they recently received calls from police officers telling them to bring in their passports. There is no obvious pattern to the places that are imposing these restrictions; the rules do not appear to be in effect for the entire region. Xinjiang is a frontier territory of mountains, grasslands and deserts that makes up one-sixth of China’s land mass. 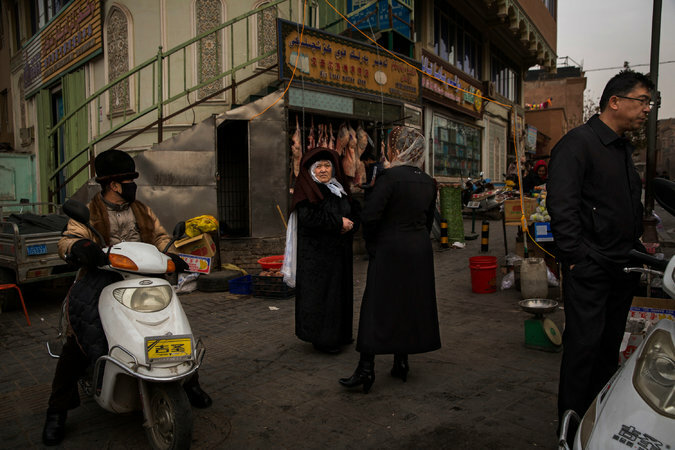 It has many ethnic groups, but the areas that draw the most attention from the authorities are home to ethnic Uighurs, a group of mostly Sunni Muslims. Violence has surged in those areas in recent years, and the Chinese government, run mostly by Han, the dominant ethnic group, has tightened control, even though some Uighurs say that is what inspires the violence. The most fatal outburst of ethnic violence took place in 2009, when Uighurs rioted in Urumqi, the regional capital. Chinese officials say separatists and religious extremists are responsible for the unrest, though they decline to release specific evidence of operational groups. A woman based in China who works with an airline running international flights said by telephone that local governments around Xinjiang, especially in the southern part, where there are Uighur oasis towns, have imposed the passport restrictions since a weeklong national holiday in early October. The woman spoke on the condition of anonymity because the authorities have been known to punish people who talk to foreign journalists about ethnic issues. She said she had heard about the restrictions from travel agencies and colleagues. She also said she had witnessed officials at the Urumqi airport preventing residents from the southern oasis town of Khotan from boarding an international flight. The passport recalls are not limited to Uighur areas. In October, the Police Department of the town of Shihezi, in northern Xinjiang, posted a notice on a microblog saying that all residents would have to hand in their passports for an annual review. The notice was later deleted, but screen captures of it remain online. Shihezi was founded decades ago as an agricultural settlement and garrison, known as a bingtuan. The bingtuan system is widespread across Xinjiang and is operated by the powerful Xinjiang Production and Construction Corps, a central-government agency with military ties. Like other bingtuan, Shihezi has a mostly Han population. It is unclear why the restrictions are being imposed now. Some scholars say it could be a policy conceived by Chen Quanguo, an ethnic Han official who was appointed to be the Communist Party chief of Xinjiang in August. He had previously served for five years as party chief of the Tibet Autonomous Region, where he enforced increasingly restrictive security measures. A widespread uprising took place across the Tibetan Plateau in 2008 and was quickly suppressed. Since then, more than 140 Tibetans have set themselves on fire to protest Chinese rule. Officials in some Tibetan regions have been confiscating passports in recent weeks, probably to prevent people from attending the Kalachakra ceremony in northern India in January, said Kate Saunders, an advocate at the International Campaign for Tibet. The Dalai Lama, the spiritual leader of the Tibetans, who lives in exile in India, plans to teach at the Kalachakra. Tibetans and Uighurs have generally had difficulty obtaining passports, though there have been some periods of loosening. Tibetans have recently been acquiring passports by signing up for tour groups going to Thailand. Woeser, a Tibetan writer in Beijing who is critical of the Communist Party, wrote in a blog post that, according to the Chinese Constitution, it is illegal for officials to confiscate passports.